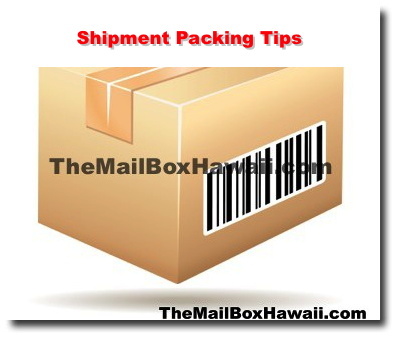 Address and Label Properly - When placing the shipping label, place it top of a flat surface. Label should include both shipper's name and recipient's name and complete address. When shipping to a PO Box, make sure you include your recipient's phone number as well. Box it Right! - Use a box that's the right size for your package. Using a larger box may mean spending too much on shipping and cushioning. If at all possible, use a new box. The more use a box gets, the weaker it becomes. If you are re-using a box, make sure it has no tears and rips and the flaps are still intact. Remove old labels and cover up other markings to avoid shipping confusion. Cushion Well - When shipping multiple items in one box, individually wrap each item. Use at least two inches of cushioning and place it two inches or more away from the walls of the box. Bubble wrap, loose fill peanuts or air bags are good wrapping options. Tape It Strong - Use packaging tape or nylon reinforced tape with about 2 inches or more in width. These strong tapes will ensure that your package is sealed well. Use about 3 strips on the top and bottom flaps. Remember to use the H method when sealing your box.